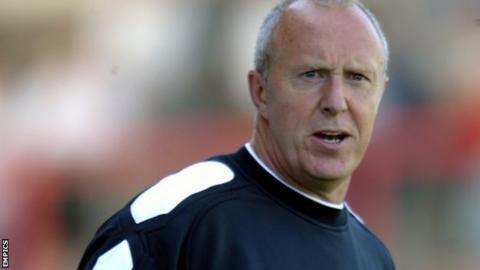 FC Halifax have appointed Jim Harvey as manager until the end of the season. The 57-year-old took over on a caretaker basis when Darren Kelly was sacked in November after just 47 days with the National League strugglers. Harvey, who picked up eight points in his four games in temporary charge, has previously managed at Morecambe and Forest Green. "It's nice to be back in management and the last few weeks have gone extremely well," he told BBC Radio Leeds. "My job is to get the boys into a unit that is going to work effectively together. It doesn't take a rocket scientist to see that the problem was that we'd been conceding too many goals. "The performances have been much better. What I'd like us to do is be a bit more creative when we are in possession." The Shaymen, who face Lincoln on Boxing Day, are currently six points adrift from safety.